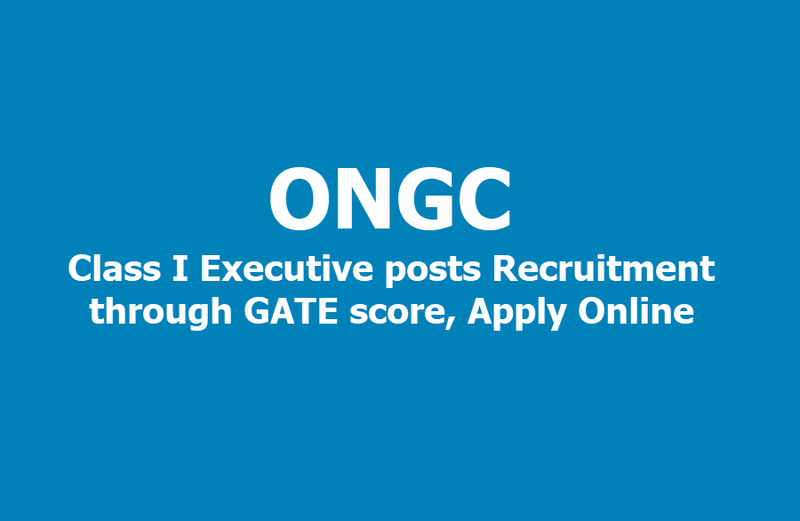 ONGC Class I Executive posts Recruitment through GATE 2019 score, Apply Online: ONGC has issued the recruitment of Class I Executive posts Recruitment through GATE 2019 score and Oil and Natural Gas Corporation Limited, ONGC has invited candidates to fill up Class I Executive posts in Engineering and Geo-Sciences Disciplines. The recruitment will be conducted on the basis of GATE 2019 score. 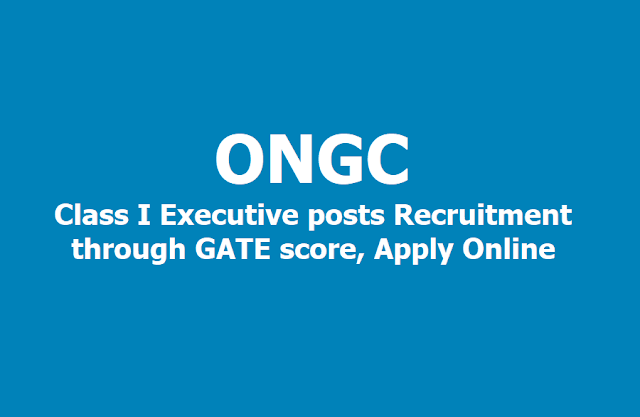 Candidates who want to apply for the post can visit the official site of ONGC at ongcindia.com. The Corporation has still not released the other related details like eligibility criteria, important dates, and age limit. The details notification will be notified through ONGC Website, Newspapers and Employment News / Rojgar Samachar. This recruitment drive will fill up 785 posts of Assistant Executive Engineers in various disciplines, Geologist, Geophysict and some other posts in the organisation. Engineering or related field graduates with minimum 60 percent marks are required. Candidates would be recruited on the basis of their educational qualification as well as their GATE 2019 score. Please note, there is an age limit of 30 years for general category for all the posts, except for drilling/cementing where the age limit is 28 years. Candidates who want to apply for the post should note that GATE 2019 score is mandatory to apply for the posts above. The GATE 2019 exam was conducted in February 2019 and the results were declared on March 15, 2019. While filling up the application form, it is essential to fill up GATE scores as well. Further details, candidates can visit the official site of ONGC.